Binance Coin is a decentralized token based on Ethereum, with a total issued amount of 200 million. Binance will repurchase BNB Token with 20% of its profits and destroy BNB every quarter until it destroys 100 million. As a fuel for the Binance ecosystem and decentralized exchanges, BNB has been applied to multiple scenarios. For example, BNB can offset the binning transaction fee, up to 50% discount, Monaco Visa and other apps can be payed by BNB. In the streaming platform called Uplive, people can use BNB to buy virtual gifts. The Binance coin has over a million active fans, the community is rather active, which always makes the discussion atmosphere harmonious and the topic quality high. Most of time there are discussions related to the project and the development of Binance exchange, but there are still a little number of advertisements. The interaction between Binance officials and users in those social channels is normal, mostly the officials are releasing announcements or official activity notices from Binance, but there are still a small amount of industry news and project information disclosure. According to the date from Etherscan.io, currently the total number of BNB holders’ addresses is 296,928, which means a larger number. The top 10 holders account take up 70.58% of the total, and the top 100 holders take up 73.6225% of the total. Meanwhile, 2 of the top 10 holders’ addresses are from crypto exchanges. If the addresses belong to team lock and exchanges were excluded, it would be easily found that most of the circulating BNB Tokens are in the hands of real users, which may take up for more than 27%, suggesting the risk of someone controlling the market is low. The current price of BNB Token is $9.638, and its private sale price was 1ETH=2700BNB (June 2017), which is equivalent to 1BNB=0.126 USDT. This means that it has a 76 times increase so far, and the daily trading volume is at the leading level of all cryptocurrencies. According to the Coinmarketcap data on September 20, BNB Token has ranked 16th in the cryptocurrency market capitalization, and it has been listed on 13 cryptocurrency exchanges, but most transaction of BNB Token is highly concentrated in Binance. From the market performance in the latest month, the trend of BNB is in a sideways volatility, and the trading volume and price tend to be stable. However, as can be seen from the figure, the price performance of BNB is more stable than the total cryptocurrencies market value. Binance has disclosed a lot of information in various channels, including exchange activities, offline activities, application testing, investment projects, development plans and progress. The ecological construction is developing steadily, the core exchanges are operating well, and they have recently launched. Binance Info, which began to enter the content platform, and in an interview with @cz_binance on Coindesk on September 19, Binance founder and CEO Mr. Zhao Changpeng said that he hopes to launch 5 to 10 legal currency exchanges next year. This plan will promote the legal circulation of fiat with cryptocurrency. The Binance project belongs to the platform type of the exchange. It has more leading resources and advantages in the current global environment. The layout and development of the ecological construction are quite stable, although the impact of Fcoin mining exchanges has been affected some time ago. However, in the current bad market, its market value has climbed to 16, which proves the stability and strength of the Binance project. 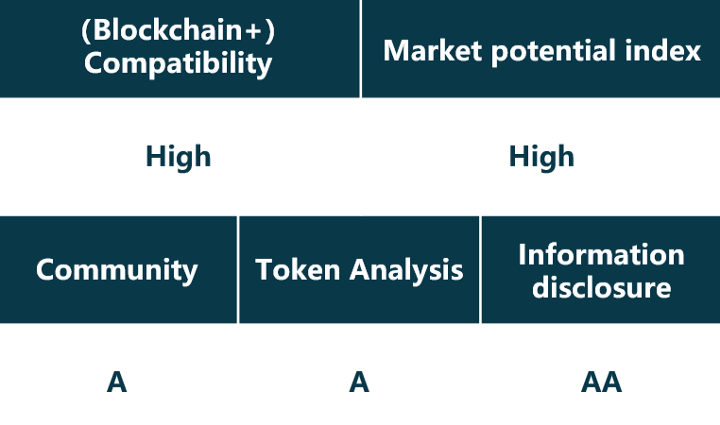 The secondary market fundamentals of the project at this stage are performing well, and the disclosure of information is comprehensive and frequent. It is one of the few high-quality projects worthy of attention in the market.